New beginnings at Faith Church, Austin. Once again God is making all things new in 78704. Bishop Dorff has appointed Rev. 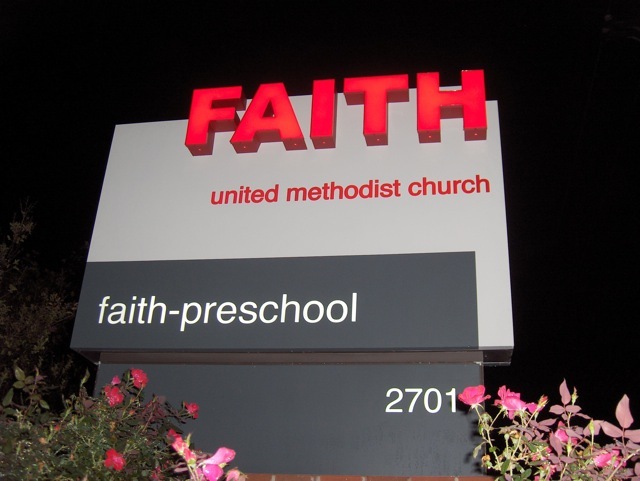 Katy Fitzhugh to be pastor for Faith UMC, Austin, effective March 1, 2013. Rev. Fitzhugh is a graduate of Princeton Theological Seminary and has served churches in Harlingen, San Benito, Del Valle, and Cedar Creek. Following seminary she spent a year as a United Methodist Volunteer In Mission working with a medical project in the highlands of Guatemala, serving as “in-country” host and translator for visiting medical teams as well as serving daily in the two established clinics. She is vice-chair of the Conference Board of Global Ministries and has studied Russian. Katy brings a passion for the practice of ministry in the local church community, cross-cultural settings, and social justice endeavors combined with a genuine love for all of God’s people. We look forward to welcoming Katy to the Faith UMC pulpit March 3rd and serving with her in the on-going ministries of our Cooperative Parish with Tarrytown United Methodist Church. Here’s a prayer poem to mark this turning. For more information and news updates about Faith Church ministries, check out our newsletter.